Uncategorized blog posts on the Big FIve Tours site. 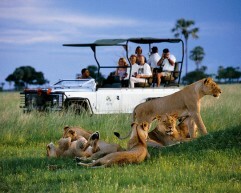 Get information on Luxury Tour Destinations and Tour packages from Big Five today. Test your knowledge of world geography, food and culture in our latest travel quiz, “What’s Your Travel IQ?” Whether you’re a frequent flyer or a travel amateur, you’re bound to find some great inspiration for your next vacation. Take our quiz and begin planning your next trip!